Lumia 800 is considered as new banged entry of the Nokia in the smart phone section. Nokia in co-ordination with Microsoft has brought the full Window Mango experience to users. 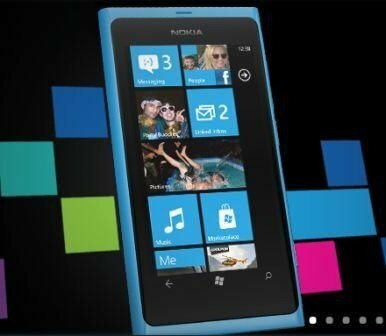 The Lumia 800 is provided in three colours: Black, Fuschia and Cyan. Black unit has a high end look whereas the Fushcia and Cyan are somehow newer versions. Its body is polycarbonate shell that is durable and not prone to scratches, unlike its metallic counterparts. Its 3.7-inch glass display is made of Corning Gorilla Glass making it scratch-resistant. From the sides the glass curves heading the edges adds softness to the four sharp corners. It has a 1.4GHz Scorpion processor and running the Windows Phone Mango (7.5) OS, the Lumia 800. This makes it a very fast and serious handset. The Tile and Hub set up makes WP7 really attractive. The call quality of the Lumia 800 has some minor flaws. On it, there is a difficulty in listening other person’s voice, if he is at some noise policy. Battery life isn’t as smooth and longer. Whatever may be its performance, it is the Nokia’s first Windows Phone, and both Nokia and Microsoft have great expectation on this set.